Does it Pay to Adjust Your Thermostat? MYTH: There is no benefit to constantly adjusting your thermostats when you don’t need as much heating or cooling…such as at night or when nobody’s home. Many people believe that while this may make sense in milder weather, it doesn't work so well in extreme cold or high heat and humidity conditions that we have in Philadelphia and throughout the Delaware Valley. The thought here is that when its very cold, the energy required to recover and reheat a space from adjusting the temperature down will negate any savings. The same mindset believes that when trying to cool the older homes in our region, they are too inefficient to constantly let the temperature and humidity rise. The energy to remove the humidity and return the home to a comfortable temperature isn’t worth the effort. RESEARCH: Studies show that the longer your house stays at a reduced temperature when heating or at an increased temperature when cooling, the more energy and money you will save. This is because heating and cooling cost depends mostly on the difference between indoor and outdoor temperature. When you adjust the temperature down in the winter or up in the summer, you simply reduce this temperature difference. Energy.Gov explains it this way: as soon as your house drops below its normal temperature, it will lose energy to the surrounding environment more slowly. The lower the interior temperature, the slower the heat loss. So the longer your house remains at the lower temperature, the more energy you save, because your house has lost less energy than it would have at the higher temperature. The same concept applies to raising your thermostat setting in the summer -- a higher interior temperature will slow the flow of heat into your house, saving energy on air conditioning. The Human Factor: Life happens, conditions vary and life doesn't always align with studies, testing environments or the best of plans. 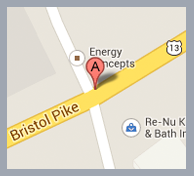 In fact, the EPA has even suspended the Energy Star ratings on the programmable thermostat category for this reason. People often find it hard to figure out the settings, let alone map out their schedules for the traditional programmable thermostats. I've found that many of ECI's customers with the older programmable thermostats get frustrated trying to conform to schedules that are always changing and leave them on hold, basically negating the reason for buying one in the first place. The biggest problem though is when someone returns home to a cold or hot home when the program isn't set correctly and quickly starts raising or lowering the settings expecting their thermostat to work like a car excel orator. The farther they push it, the faster it will get comfortable. Does this sound like anyone you know? Unfortunately, thermostats don't work like that and for homes with heat pumps, electric resistant heat, steam heat or radiant heat this can create comfort issues and higher costs. 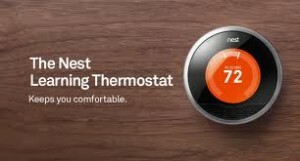 The $249.00 Nest Learning Thermostat learns your schedule, programs itself and can be controlled from your phone. Teach it well and the Nest Thermostat claims that it can lower your heating and cooling bills up to 20%. The Nest turned the heating and air conditioning world on its head. Co-founders Tony Fadell and Matt Rogers, both former Apple engineers, are fond of calling it a "jewel on the wall." As with most technological breakthroughs, it took an outsider to change the way we all looked at thermostats. Google recently agreed to purchase the Nest Company for $3.2 billion dollars. This development has the industry giant Honeywell who reportedly had 39% market share in 2013 scrambling to match the technology and partnering with Apple to create the new Lyric Learning Thermostat. It depends on your lifestyle, the region you live in, your budget and your abilty to use technology. There's no right answer that covers all situations. Thats why ECI Comfort takes the time to understand the the homeowner and the desired enviroment before we answer any comfort questions. I find that many homeowners don't use the settings suggested to achieve the savings reported becasue it's not comfotable, so the numbers are skewed. There's another group of people who simply dislike all things technological and don't want to take the time to learn the devices. On the flip side, there are technophiles who can't get enough technology in their lifes. In the end though, all thermostats will be intelligent and integrated into the modern home. The next generation of homeowner will give little to no thought to the days of trying to figure out what to set the thermostat for. Something along the lines of the argument over BETA or VHS.